An Apple look on your screen"
Apple has its own designs for operating system. It is used on iOS devices such as iPhone, Mac. 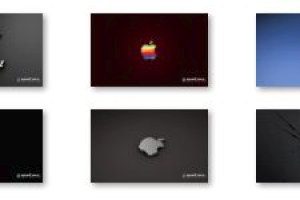 IF you love those designs, then you can have on Windows some elements that will make you feel that you are for a moment in the front of an Apple. Have you ever thought of changing your screensaver your desktop background to depict an Apple 3D animation? This is the main reason this application was designed and developed. It is a tool that needs no expertise to run it, you will just follow all the instructions and you will still get all the required tools of that kind. The theme comes with 10 great images at high resolution – 1920 x 1200 pixels. It comes as a bundle in such a way that you will be able to have all the fun and excitement in dealing with all the simulation functions of the application Use the customization settings to your advantage, that is, you can modify the display to suit your taste. Just in case you find it boring to use the default themes then this is the right application for you. Apple 3D Windows 7 Theme is licensed as freeware for PC or laptop with Windows 32 bit and 64 bit operating system. It is in themes category and is available to all software users as a free download.